Police in Buenavista have deployed officers to secure mayoralty bet Rico Cabarobias following an ambush against him in Getafe on Monday. According to Buenavista police chief Sr. Insp. 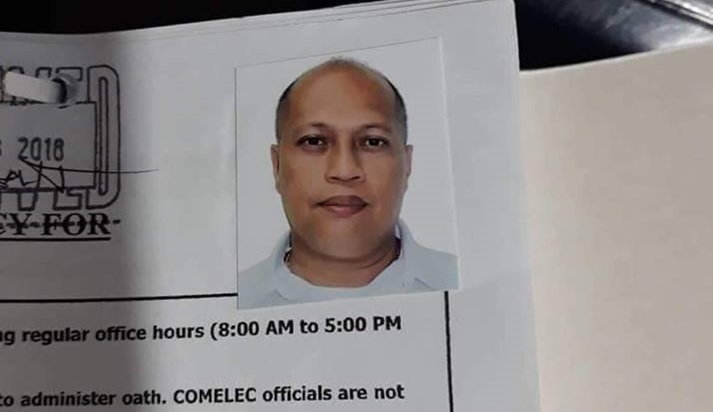 Bonifacio Lucerna, a police security detail composed of at least four officers was immediately tasked to protect Cabarobias at an undisclosed location after the gun attack which led to the death of the aspiring mayor’s driver. “Right after sa pangahitabo, ato siya gihatagan dayon og police security. Naa ra siya sa usa ka lugar pero confidential,” said Lucerna. Both the Buenavista and Getafe Police Stations however continued to face a blank wall as to the identities of Cabarobias’ two assailants. For his part, Getafe police chief Inspector Narciso Laruga said that the ambush could be election-related but did not dismiss the possibility that conflict due to Cabarobias’ work as a lawyer prompted the attack. Authorities have already confirmed that Cabarobias was unharmed but he has not yet coordinated with the police following the ambush, Laruga added. Prior to the attack at past 1 p.m. on Monday, Cabarobias was travelling on board a Toyota Fortuner along a national road in Getafe from Talibon where he attended a court hearing. Cabarobias also reportedly maintained a law office in Talibon. “Gikan sa Talibon padung na uli, allegedly gikan siya [Cabarobias] og hearing. Based sa among investigation, posibleng gisundan sila gikan sa Talibon,” said Laruga. Cabarobias was able to safely flee from the two gunmen who rode in tandem but his driver, Conrado Aniasco, 52, was shot twice in the left side of his body while on the driver’s seat. Aniasco later succumbed to the gunshot wounds. SPO1 Rowel Lagura of the Getafe Police Station earlier said that the assailants were not able to go after Cabarobias as there were workers at a construction area nearby.